Color: Outer space with red and toxic. New Balance's marketing pitch: Up the cushioning. Add the miles. Surfaces tested on: Road, ambient temperature of 21° C/70° F.
Upper: Mesh, synthetic leather, semi-elastic midfoot sleeve. Midsole: Single density compression molded foam. 8 mm heel drop. 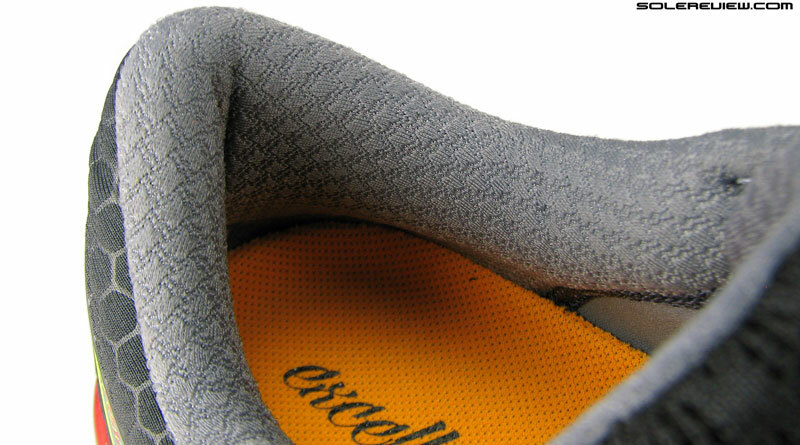 Outsole: Hard carbon rubber under heel, softer blown rubber over rest of the outsole. Widths available: B - narrow, D - regular (reviewed), 2E - wide, 4E - Extra wide. The 1080 V6 has more in common with the Boracay than the 1080 V5; a single density midsole ensures a completely different ride than the last year's 1080. On a negative note, there are issues with its upper design which might be a problem for many. The 1080 is a familiar name, this new shoe is not. Let’s preface the review with this statement: The 1080 V6 isn’t really a 1080, at least not in the sense you once knew it. 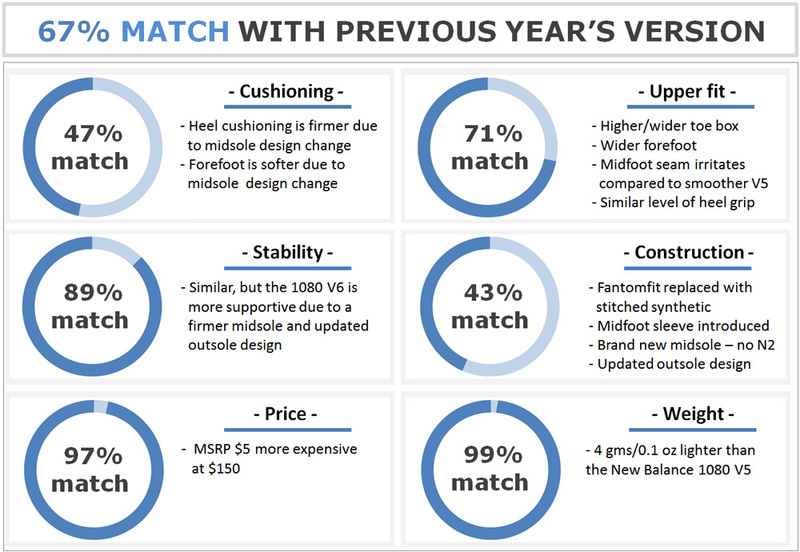 This is a constant issue with running shoe updates; with each new model, you have no idea what to expect. The brand might choose to introduce a completely different product with a familiar name, and that really throws people off. 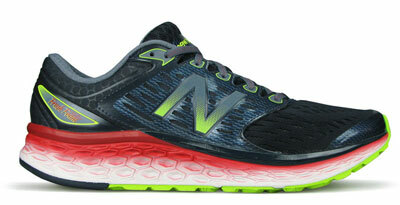 And so is the case with the New Balance 1080 V6. Runners used to the 1080 V4 and V5 will go to the store expecting some remnant of their current models on the 1080 V6, and they’ll quickly discover that the V6 shares the name but little else. For all practical purposes, the 1080 V6 feels more like a Boracay with a thicker midsole. 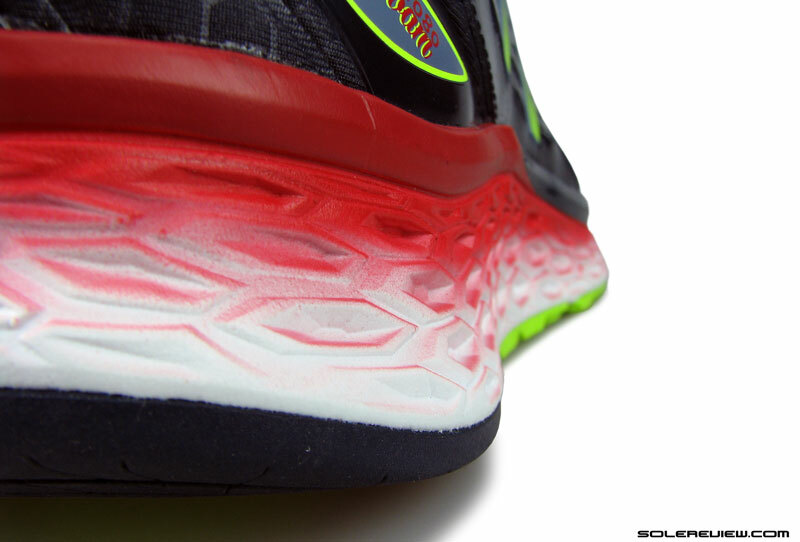 The 1080 V6 has more in common with the 2014 Fresh Foam and the Boracay than any of the prior 1080 models. The V6 feels like a beefed-up version of the Boracay, except with a 8 mm heel offset and some bells and whistles. 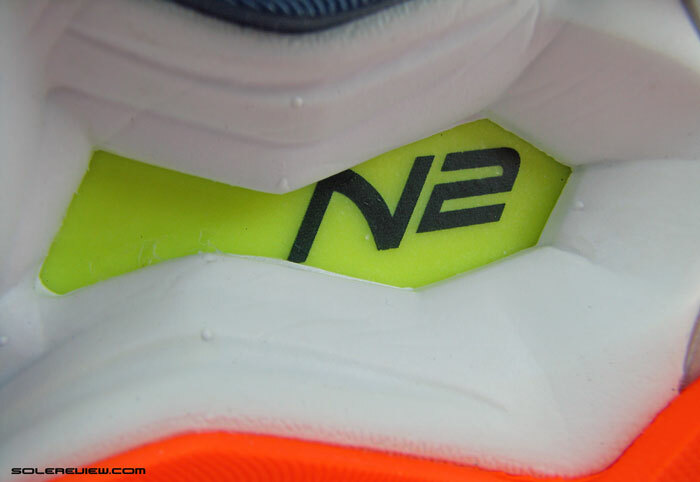 This has a lot to do with the 1080 ditching the N2 based midsole platform and switching to a Fresh Foam underpinning. Regardless of the huge personality chasm between the successive 1080 models, we’ll include a comparison anyway, match report and all. You must have glanced at the low overall score and wondering what’s that all about. The score is influenced by the 1080 V6’s quality of upper fit and the shoe’s average cushioning quality. The Fresh Foam has always been a mediocre cushioning platform, so this isn’t a 1080 specific issue. 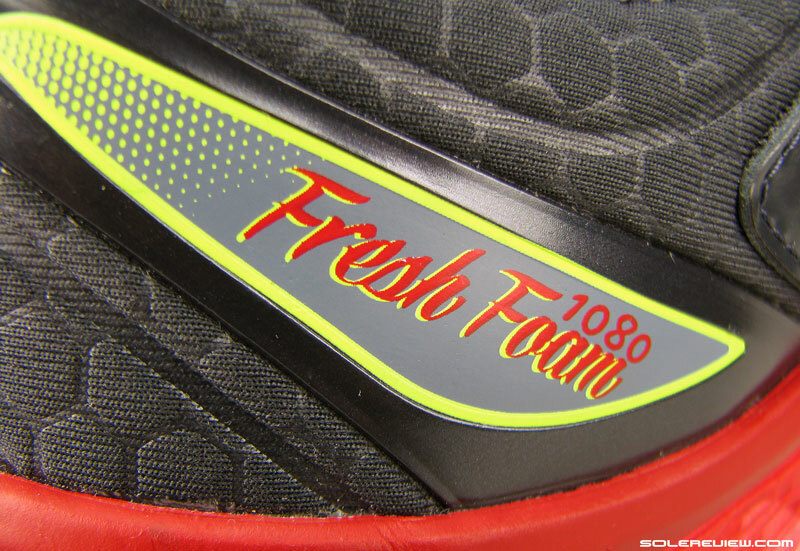 Even the original Fresh Foam 980 was more marketing than substance. 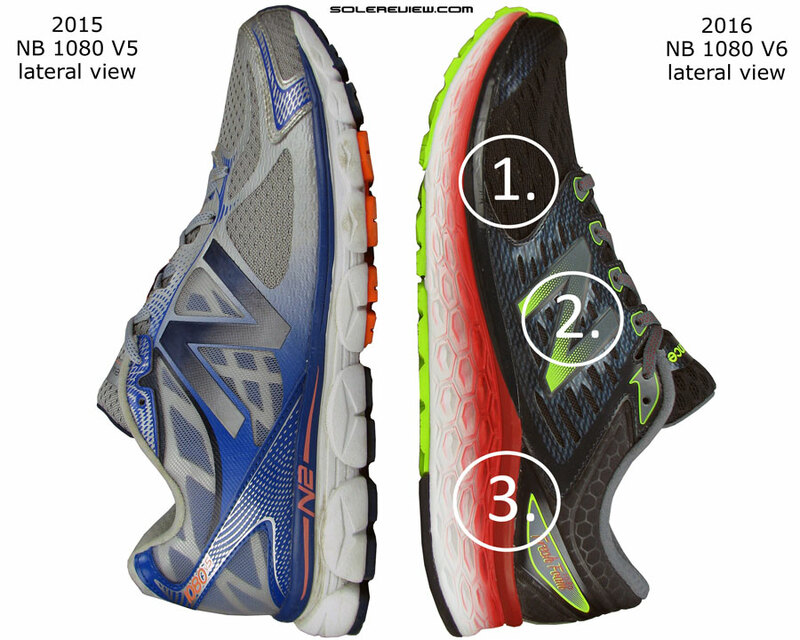 What is surprising though is that New Balance has left the 1080 V6’s upper design half-cooked. This is surprising, because New Balance has historically produced great upper fits. They’re also the only brand to offer an unparalleled array of width choices. So what went wrong on the 1080 V6? 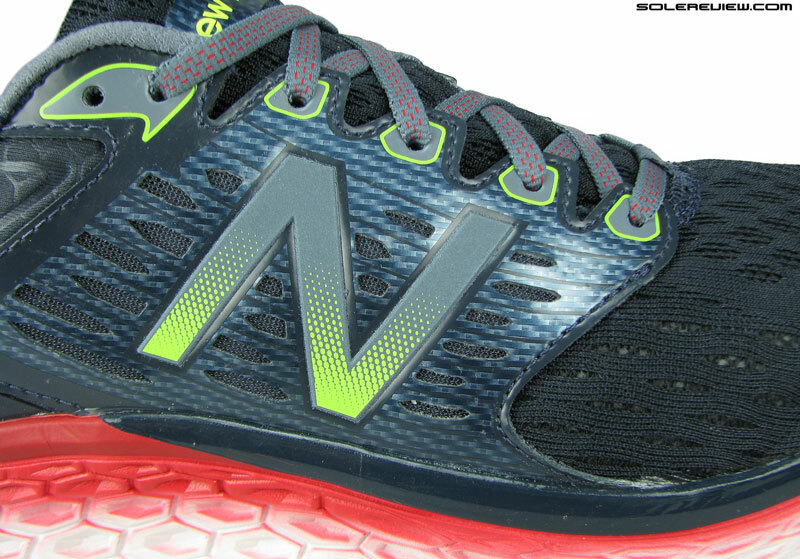 New Balance’s fit has always worked well when paired with a ‘Fantomfit’ construction, where the upper relies on stitch-less overlays instead of stitched-on components. The functional implications of such as method benefits the quality of interior fit, as the lack of inner seams correlates to a smoother feel. Putting an old-school stitched-on panel outside creates a seam on the inside, and chances are things will end badly. 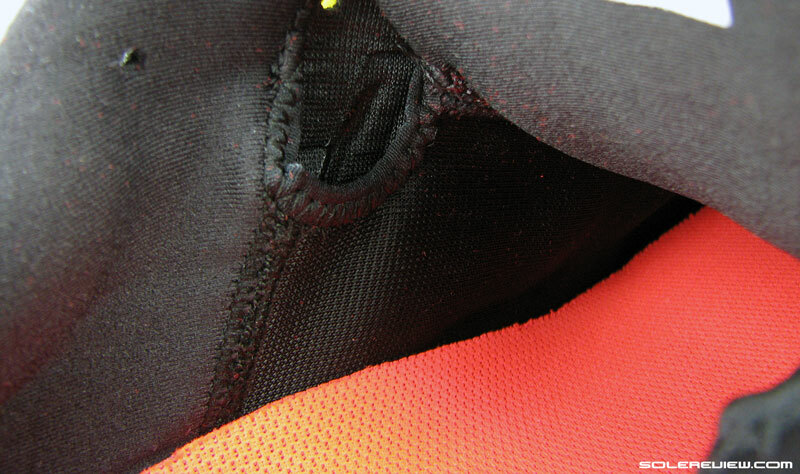 This was evident on the first generation Zante, where a stitched component made the fit tight if not uncomfortable. This year’s Zante gets rid of the panel in favor of a fused design, and the positive impact on upper fit is noticeable. Reminds you of something? The Saucony ISOFIT upper, perhaps? The 1080 V6’s shortcomings begins there – the 2016 model uses a stitched-on midfoot panel instead of the 1080 V5’s Fantomfit. This design has shades of Saucony’s ISOFIT, where a ‘floating’ midfoot lacing panel is used over a mesh upper. The 1080 V6 replaces the Fantomfit design with a semi-floating panel stitched to the upper. 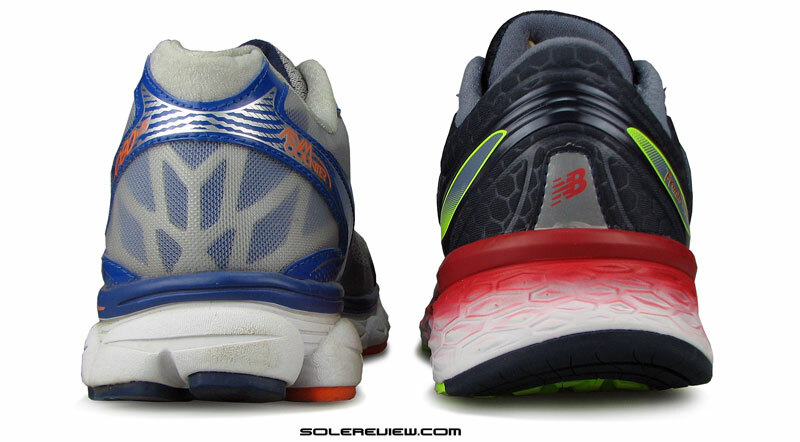 Coming to think of it, the entire 1080 V6 upper looks rather similar to the Saucony Triumph and Hurricane ISO. Welded-on toe bumper, mesh forefoot, and then the synthetic panel stitched over it. The inner sleeve construction bears resemblance to the ISOFIT too. That similarity aside, one aspect in which the 1080 differs is the way in which New Balance attaches the synthetic panel to the forefoot. 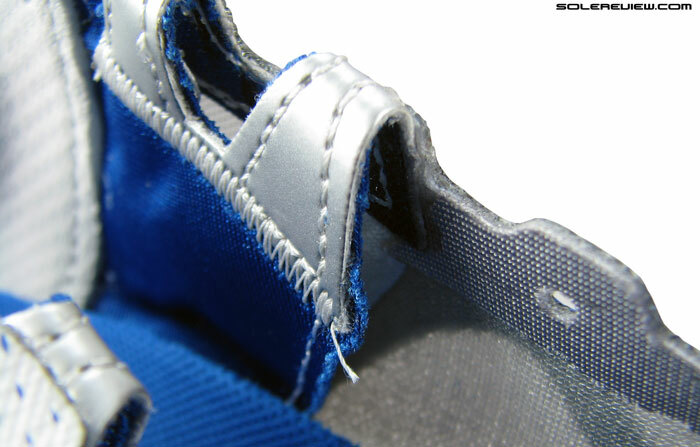 On the inside, Saucony relied on a flat lock seam to join the panel over the mesh. 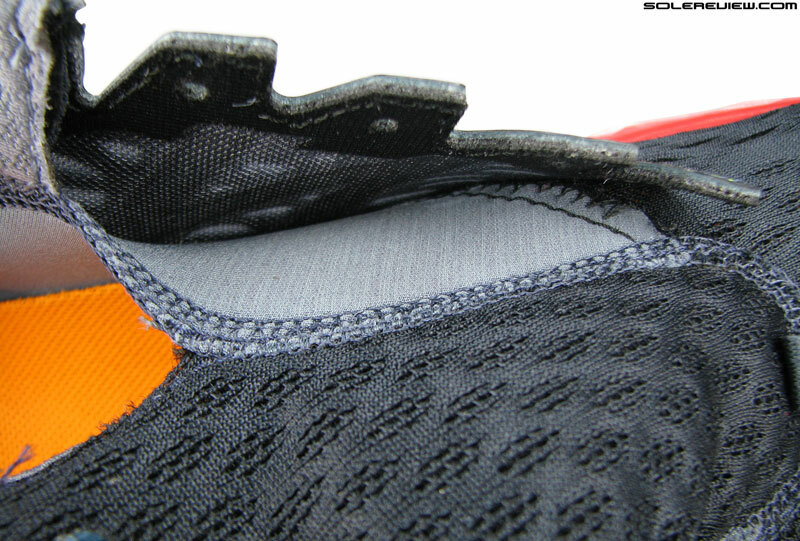 In contrast, New Balance uses an additional tape over the seam on the inside. The tongue is attached to a sleeve, which in turn is attached to the forefoot mesh. It is surprising that a company known for usually making great uppers relies on a thick seam tape – on both the medial and lateral sides. 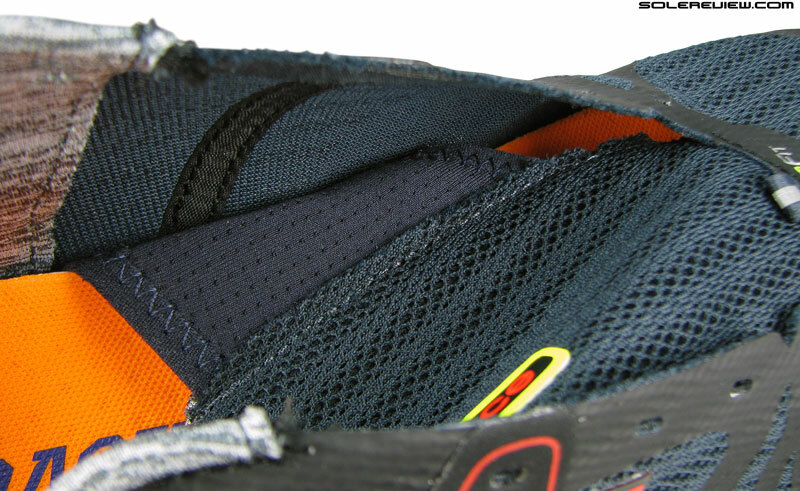 The seam is a step-down from the smooth interiors of the Fantomfit based 1080 V5. During runs, you feel the seam pressed against the forward arch. 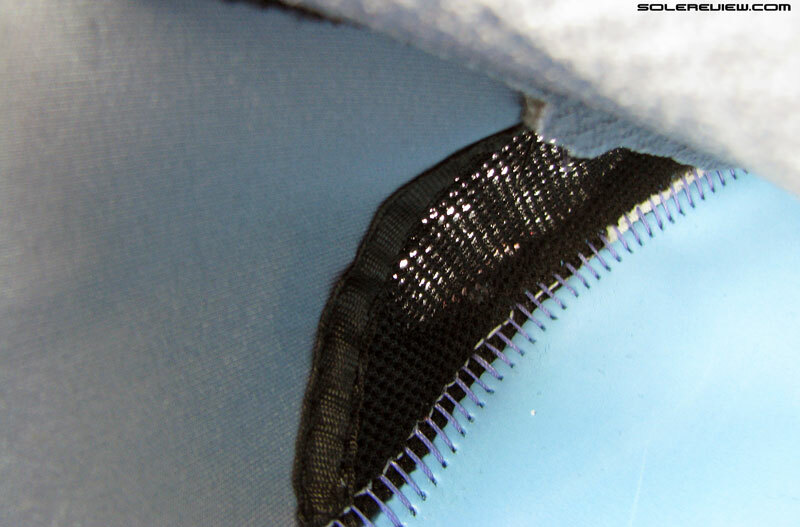 This area has three separate materials bunched together; the outer synthetic, the upper mesh and finally the seam. No wonder this feels uncomfortable. Which is ironical, given that the 1080 V6 comes kitted with an inner sleeve. A sleeve as such is supposed to make the interiors smoother, not coarser. But the 1080 V6 does not tap into the best practices of inner sleeve design. Based on what we’ve seen, there are two safe ways to incorporate an inner sleeve, and both share a common trait – the sleeve should have relative independence relative to the outer mesh. The first approach would be a half sleeve construction, like how adidas does it. The ‘sleeve’ just wraps the midfoot while the rest of the upper is ‘un-sleeved’. Within New Balance’s line, the 1500 V2 is an example of this construction. The second method is to use a full inner sleeve, forming an additional ‘sock’ inside the upper. Nike uses this design a lot, as evident here and here. 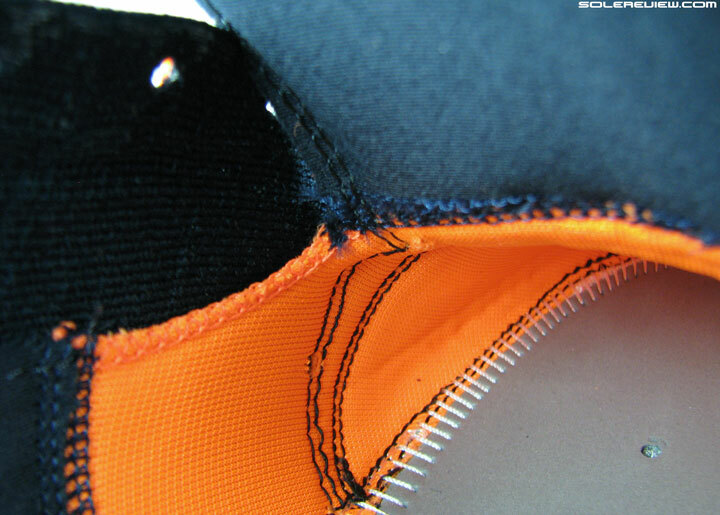 The inner sleeve is made of a semi-elastic material. 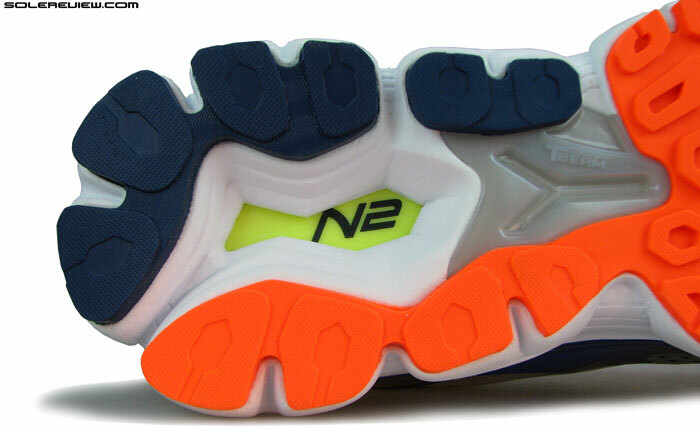 New Balance plays around with the third approach, which is to connect the sleeve directly to the upper near the forefoot. This footwear design has a hit or miss quality; you can get it half-right based on our experience with Saucony models. The 1080 V6 has an urethane toe-bumper with a faux Carbon fiber texture – which ties in to the midfoot panel design. A molded bumper on the 1080 V6 ensures dedicated toe-space, and more room than the 1080 V5. This also undoes the rather wide forefoot and tall toe-box quality. Because just between the forefoot and midfoot you encounter this seam, which makes the forefoot feel tight – which is a paradox, really. The forefoot has a lot of open mesh area with no overlays, so there is (technically) plenty of room ahead of the seamed joint. The toe-bumper is molded (with a faux Carbon fibre texture) and that creates ample vertical space for your toes. Under usual circumstances, the presence of a midfoot sleeve makes the fit snugger compared to a non-sleeved design. The 1080 V6 is an exception, however. 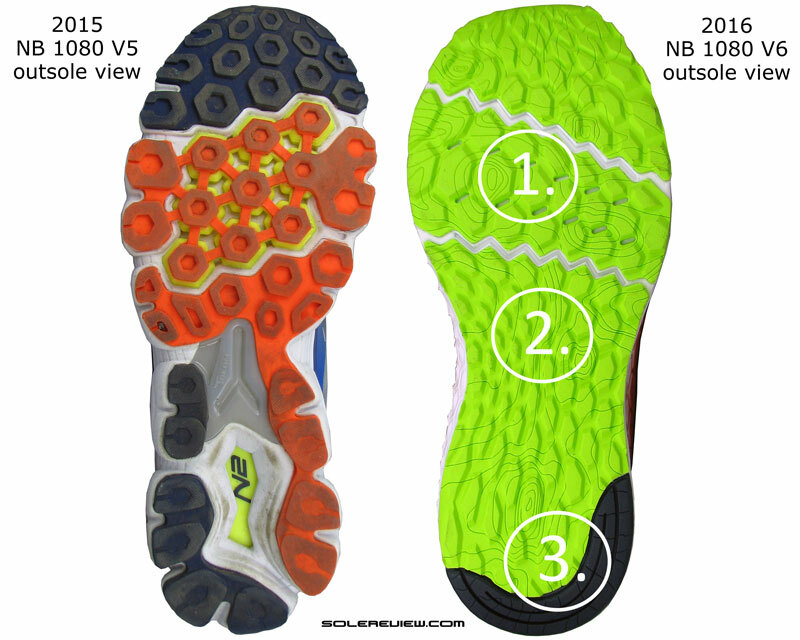 The 2015 1080 V5 had a more secure midfoot fit, and for two reasons. One, the midfoot had an inner lacing panel attached to two rows of lacing, and this worked independently of the tongue. This helped cinch the lacing tighter than the 1080 V6, which led to reason #2. Just because of the freedom of movement in lacing cinch, one could bring either ends of the lacing closer to one another on the V5. This resulted in a larger portion of the outer upper covering your foot – which helped increase the level of midfoot fit without being uncomfortable. This isn’t to say that the 1080 V6’s midfoot fit is lacking in any aspect. Simply trying to make the point that an inner sleeved design doesn’t necessarily equate into a more secure fit vs. a traditional design. 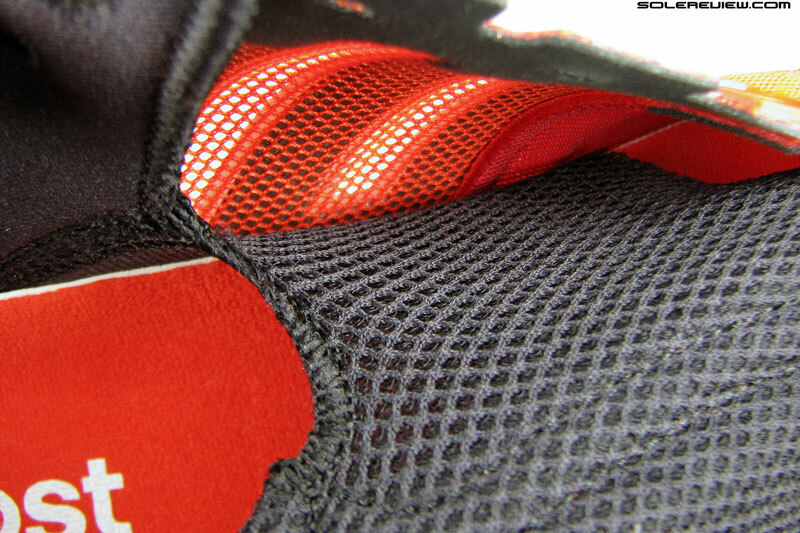 The tongue has increased padding over the 1080 V5 and does a better job at filtering lacing pressure. 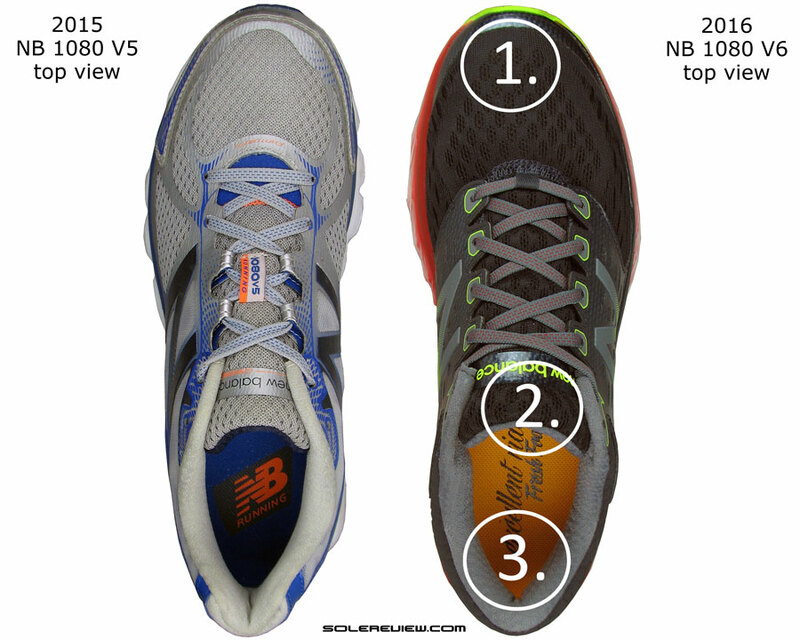 Where the 1080 V6 performs better is in the way it insulates lacing pressure. The tongue has increased padding compared to the 1080 V5, and that damps the pressure exerted by the flat, semi-stretch laces. There’s one thing which both the 1080 V5 and V6 have in common, though. That’s the sub par level of heel grip. 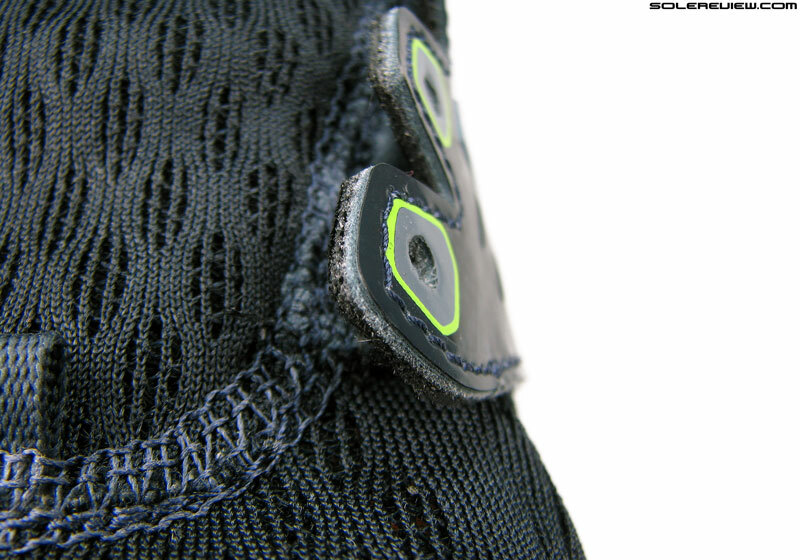 The 1080 V5’s collar used soft fabric and foam padding, but that did not translate into great heel grip. It just felt a couple of levels below where it should be. The collar has decent foam fills, yet doesn’t inspire fit confidence. The 1080 V6 does not up its game in the heel grip department. During runs, we experienced no slippage but always had this feeling that the shoe could do with better heel grip. Visually speaking, the 1080 V6 is a great looking shoe. Right from the Carbon fibre inspired toe-bumper to subtle hexagonal shaped embossing on the rearfoot mesh, the 1080 does not skimp on the details. The heel gets low light visibility too, something which was conspicuous by its absence on the V5. Never short on the details. 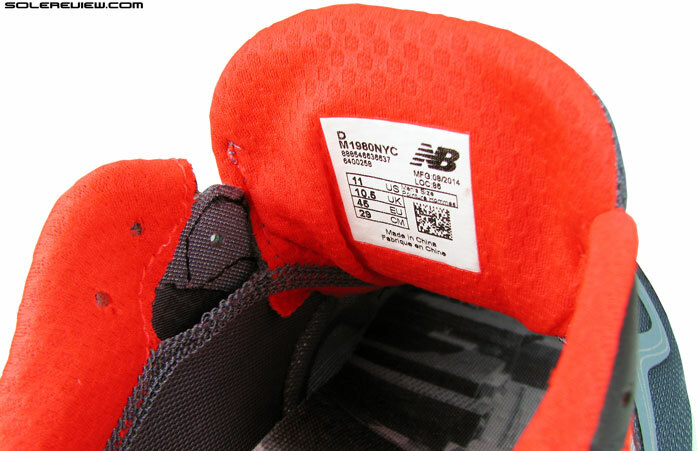 New Balance uses a honeycomb embossed mesh on its rear quarter panels, a nod to the Fresh Foam midsole design. 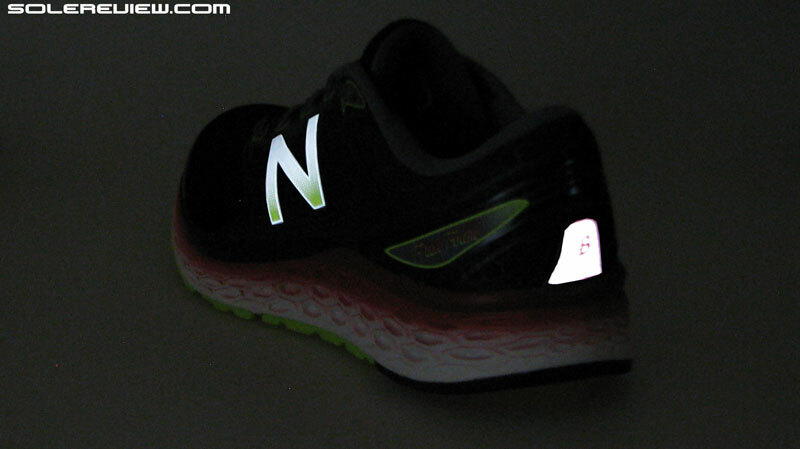 Reflectivity is available in plenty, which is a major upgrade over the non-reflective 1080 V5. The midsole also receives a lot of aesthetic detailing – like how the Fresh Foam midsole has paint sublimation, with deep red at the top graduating into a faded color scheme. On the lateral side, the forefoot midsole edge has a glossy black finish which makes it appear as a separate piece. 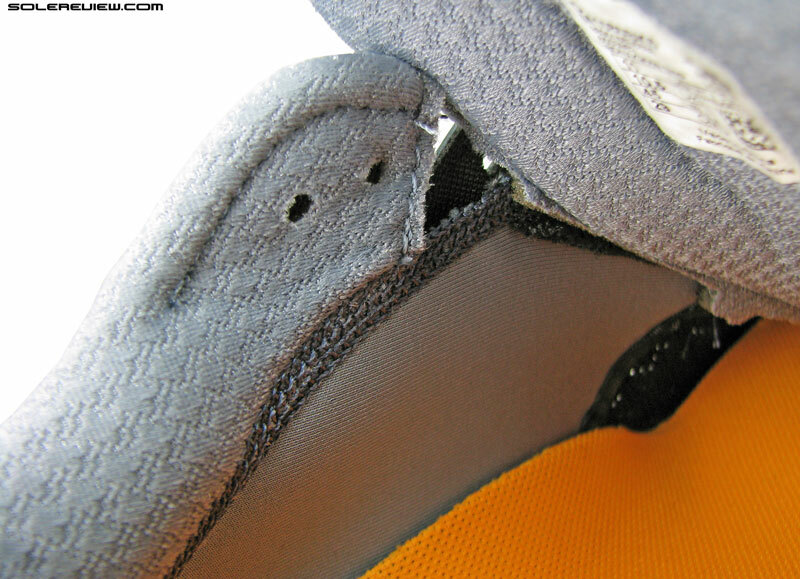 The primary midsole is a single piece of foam sans any insert or plastic shank (earlier present on the V5). The sidewalls have the signature Fresh Foam texture, using hexagonal shaped molding on either sides. This ties in nicely with the honeycomb detailing of the rearfoot mesh and visually similar forefoot+tongue mesh vents. 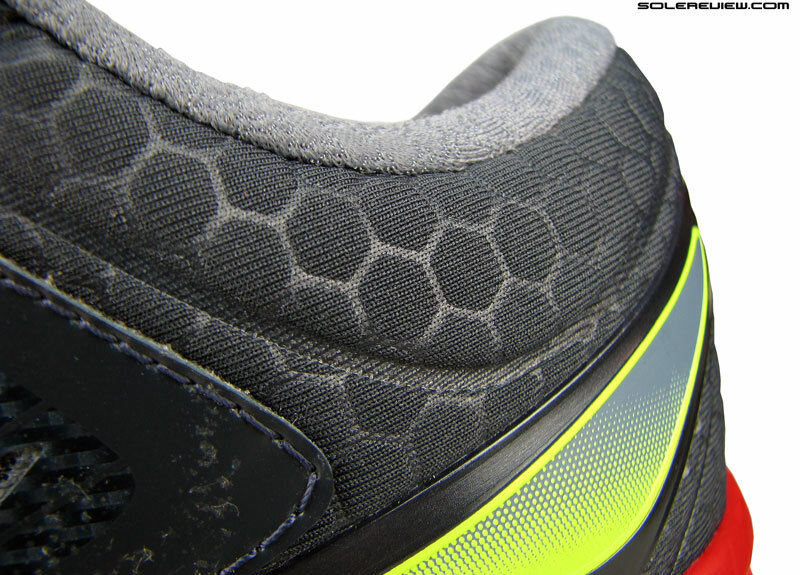 The medial (arch side) midsole has protruding, convex Hexagons. 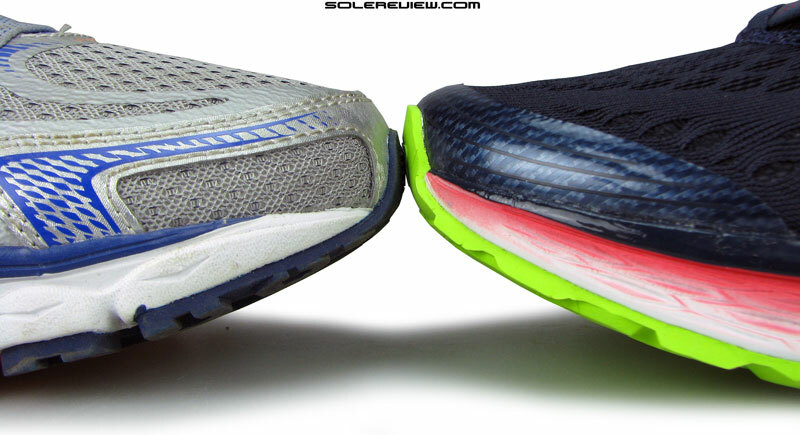 This makes the inner midsole more supportive than the outer sidewall. The outer sidewalls have concave Hexagons, allowing the midsole to be softer on the lateral side. 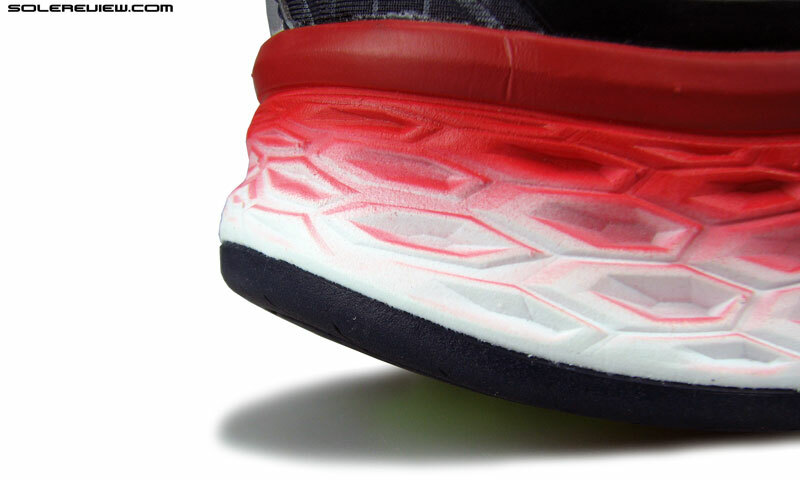 If you’ve been a past Fresh Foam patron, then you must have noticed that the lateral (outer) and medial (inner) midsole walls differs in texture. The lateral side has depressed hexagons while the medial side has filled-up ones. This serves a functional aspect; the lateral sidewall is easier to compress than the relatively supportive medial side. This improves the shoe’s stability manners, and we included the 1080 V6 in our supportive shoe list for this very reason. The midsole might seem tall, but it actually isn’t. The edges flare up higher than the actual midsole height. 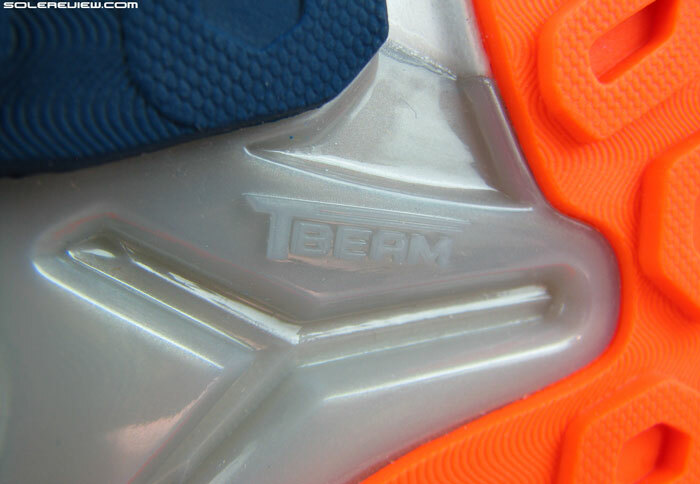 The 1080 V6 has an exaggerated midsole sidewall, meaning that foam piece looks taller than what it actually is. 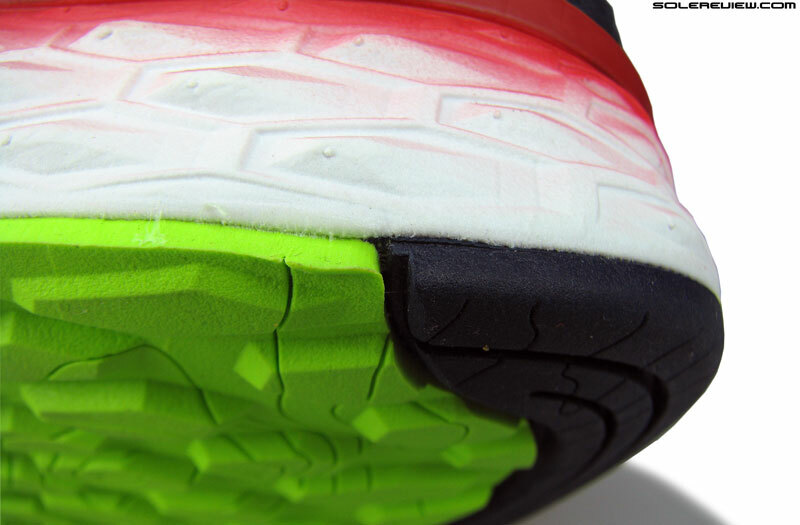 The functional midsole volume is of a lower stack; from the midfoot (towards the heel) the midsole edges flare up in a cupping action. This wasn’t so with the 1080 V5, where what you saw was what you got. Switching to the Fresh Foam format also means that the V6 excludes design features such as the under-heel cavity with the N2 insert and the plastic midfoot shank. Heel crash pad, Fresh Foam style. A harder wearing rubber piece protects the rounded heel edge. The 1080 v6 has a rounded heel designed for gradual rearfoot landings. The V6’s midfoot is now filled up with foam instead of the plastic shank, and the outsole is an articulated sheet of rubber. 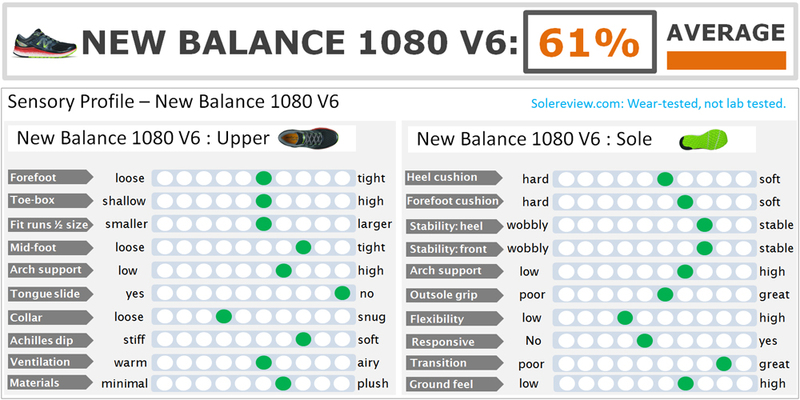 Most of the 1080 V6’s outsole is a soft, blown rubber variety. Blown rubber was used on the V5 as well, but selectively. Only the heel crash pad on the V6 is a harder rubber compound, and this is glued on the prominent heel bevel meant to ease rearfoot landings. 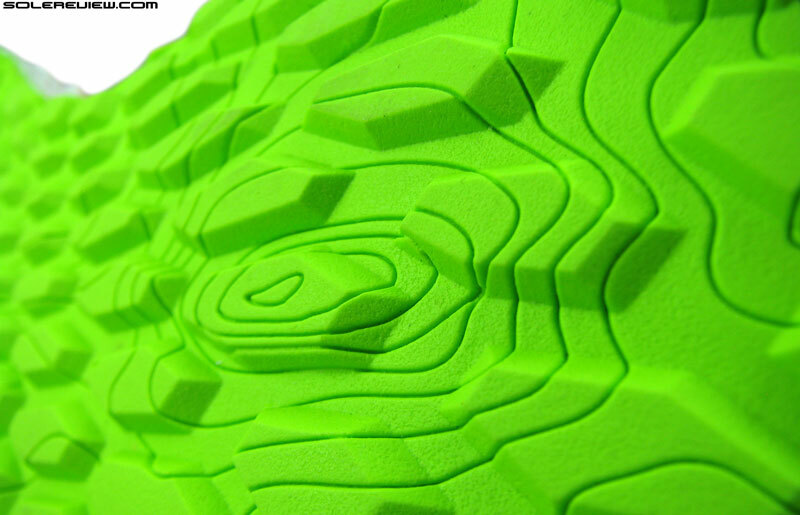 The outsole texture resembles the contour lines of a topographic map. 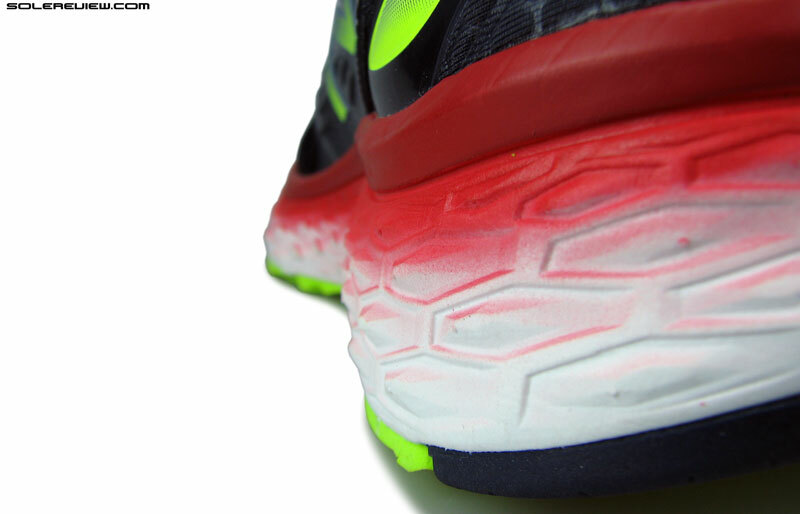 The outsole has a flatter profile, now typical of Fresh Foam based models. The lugs are low profile hexagons for the most part, which makes it less susceptible to trapped debris than the V5. 1) The forefoot is actually wider but the midfoot seam gets in the way 2) Reflective logo+inner sleeve 3) Midsole walls are exaggerated. Just one run in the updated 1080 V6 tells you how far removed the shoe is from earlier versions. 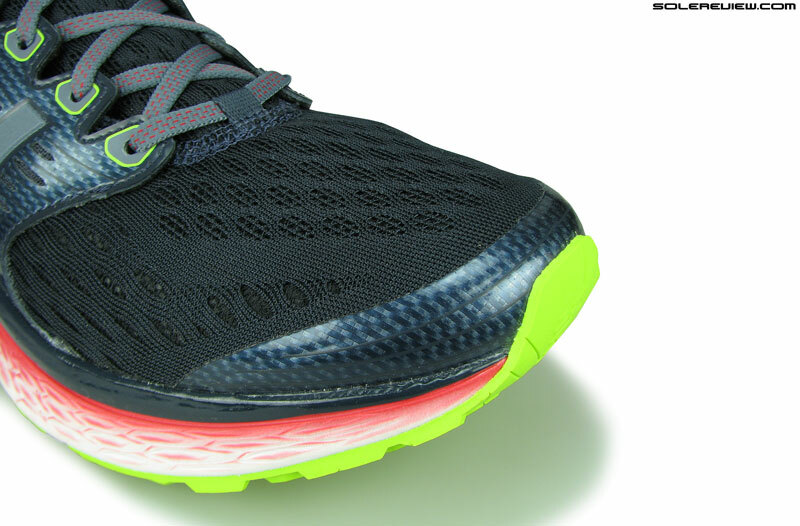 The overall ride is much firmer than the V5; and to be honest, Fresh Foam has always been so. Even the original Fresh Foam 980 was one firm riding shoe, and most softness experienced on the 980 was a result of the thick Ortholite sockliner. New Balance’s tried and tested magic trick: a cushioned insole which makes the shoe feel soft during in-store fitting sessions. 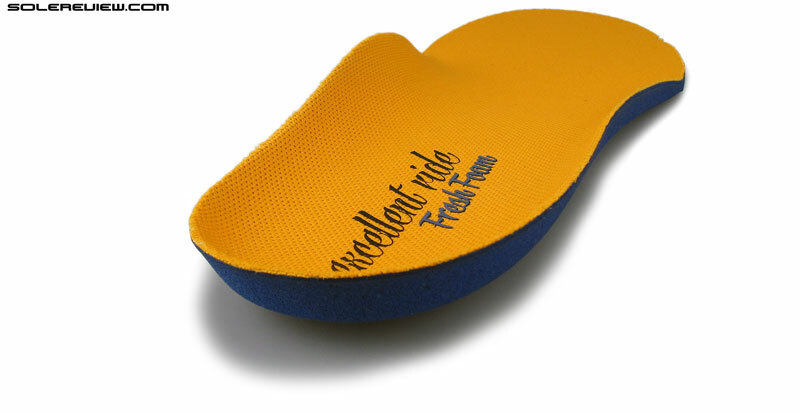 This is an insole similar to the one used in other Fresh Foam models. 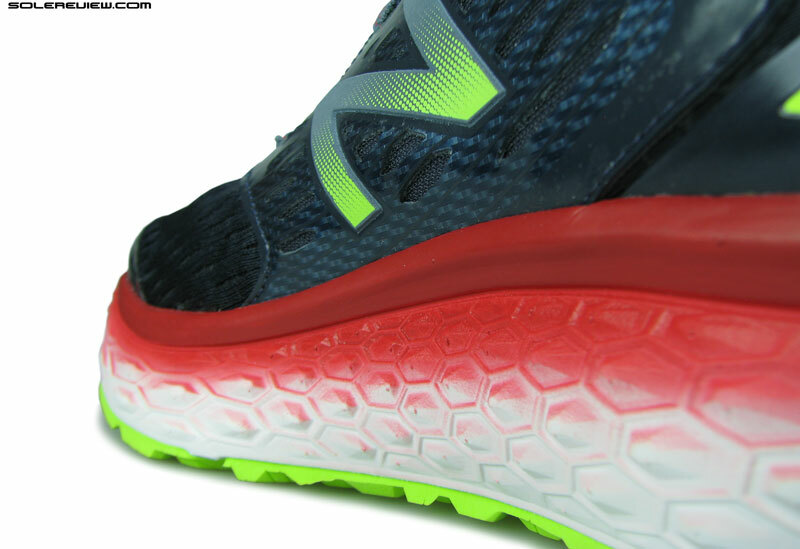 New Balance gets its foam digs from Ortholite. Foam lasting is carried over from the 1080 V5. Incidentally, the cushioned Ortholite insole is used on the 1080 V6 too, except that the Fresh Foam midsole below it is definitely softer than the 980 or Boracay. Conversely, the heel cushioning on the 1080 V6 is noticeably firmer than the 1080 V5’s, and that’s because the N2 sheet and cavity has been filled up. This leaves little room for compression, and that leads to a stiffer ride. Under the forefoot, the 1080 V6 is softer as the Fresh Foam compound replaces the firmer N2 ‘burst’ lugs. The 1080 V6’s ride is a major departure from prior versions. Responsiveness isn’t Fresh Foam’s forte – it has never been. Fresh Foam might be a cleverly marketed product story, but the ride character is rather ordinary – like any other EVA foam. There is a sense of ample padding which is the result of a piece of chunky foam glued below. But all it really is muffled damping minus the responsiveness, nothing more. 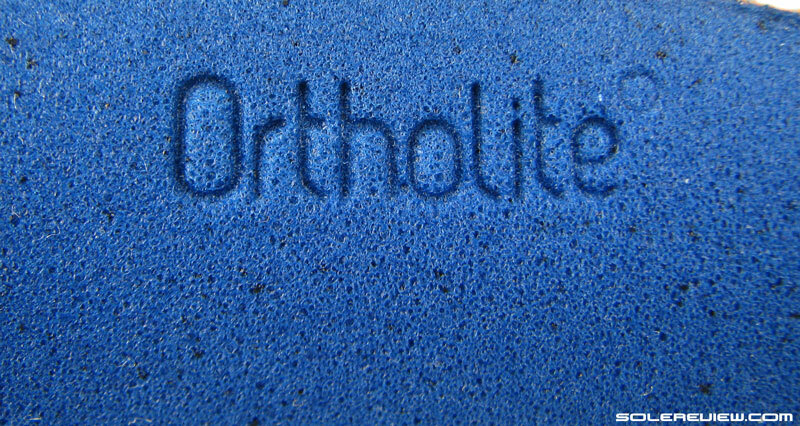 As far as producing softness is concerned, the Ortholite sockliner does most of the heavy lifting. There is a downside to the raised midsole edges, particularly under the arch area. You feel the midsole walls near – you guessed it – the inner upper seam, where multiple materials converge at one point. 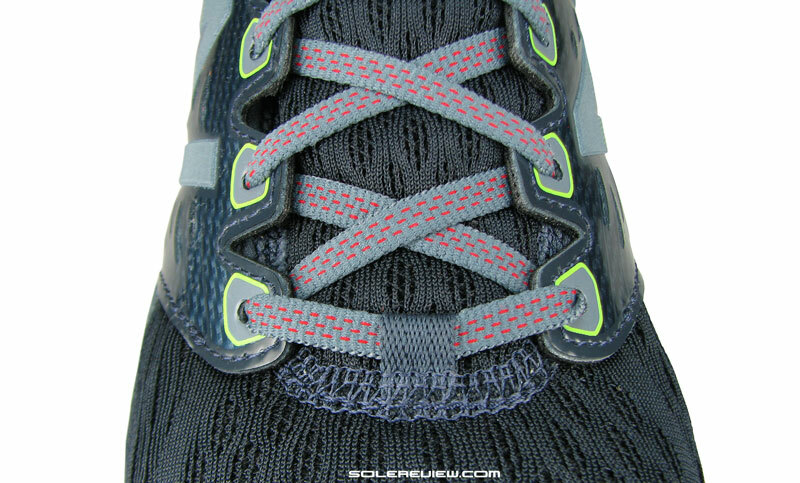 If the seam wasn’t bad enough already, the midsole walls (albeit soft) just adds needless drama. That said, it is possible that purchasing a 2E (or wider) variant could alleviate this annoyance. All is not bad-bad, though. There is one area where the 1080 V6 performs substantially better than the V5, and that is the level of support and quality of transition. The midsole waist is significantly wider than the V5, making the midfoot area feel much more planted and supportive. Barring the highly localized under-arch area, the raised midsole sidewalls act as a frame, creating a cradle of sorts. Transitions are better than the 1080 V5. The single density Fresh Foam unit gives the midsole an uniform ride quality – in contrast, the 1080 V5’s overtly soft heel and comparatively lumpy forefoot felt disconnected. 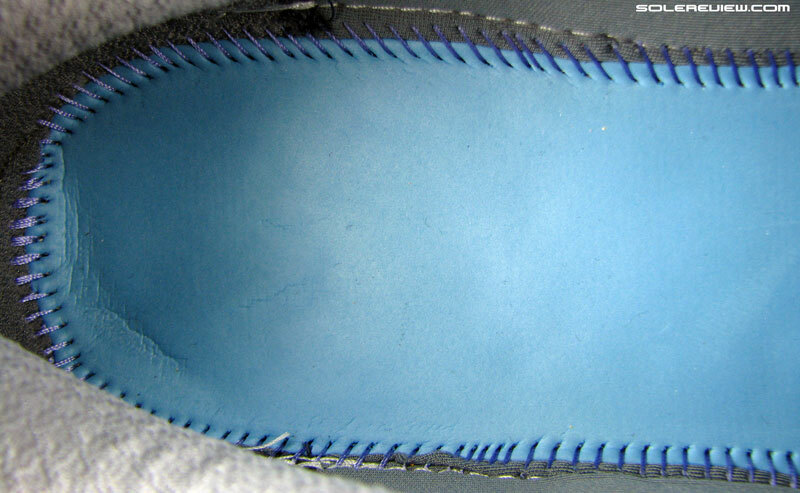 Foam now fills the area where the 1080 V5’s plastic shank was, hence performing a better job of connecting the front and rear halves of the midsole. This update results in better heel-to-toe transfers. We assumed that the V6 should be noticeably lighter than the V5 due to a cleaner visual profile and switch to Fresh Foam, but it ain’t so. It weighs nearly the same, at 324 gms/11.4 o.z (US 11/UK 10.5), which is just 4 gms/ 0.1 oz lighter than the V5. That 4 gm difference is also matched by a $5 bump-up in MSRP, going from $145 to $150. There are a couple of takeaways from this review, which is as follows. The 1080 V6 bears little resemblance to the previous 1080 in both function and form. So if you want a shoe which compares to the previous 1080 shoes, then try the Nike Vomero 11 instead. As far as the 1080 V6 is concerned, view it as a (more) cushioned and higher heel offset variant of the Fresh Foam Boracay. 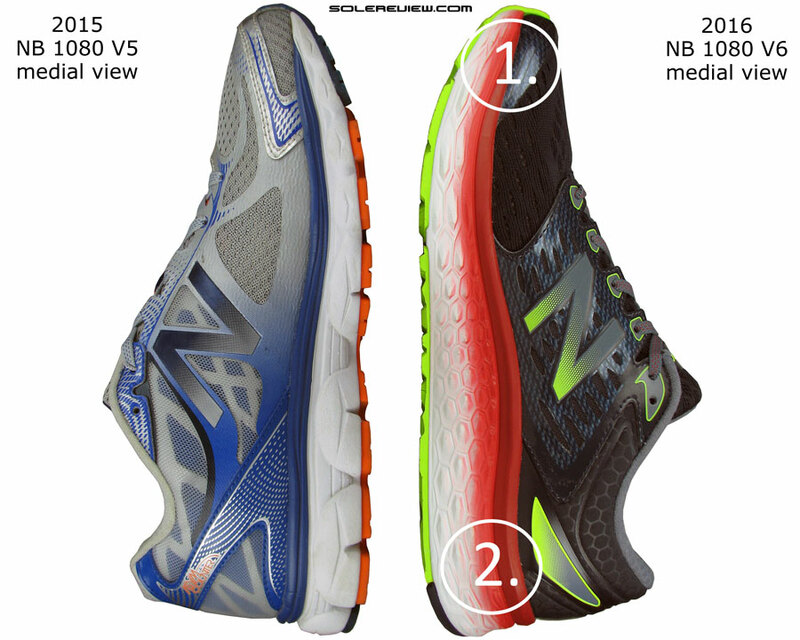 Looking to upgrade your 2015 New Balance 1080 V5 to the latest version, but not sure how the 2016 model compares? We can help here. The following infographic is a ready-reckoner for what changes you might expect in the new model vs. old. To make this more fun, we’ve put in a system of percentage match, which calculates a weighted average for a set of attributes.